The Asscher cut has already been a top-selling cut for our Takara cultured diamonds, so we've implemented it in our Asha� Diamond simulant. As always, we've made this is faithful a replica of the real thing (the Royal Asscher cut, which is patented when done in natural diamond by the Royal Asscher Diamond company) as possible - 74 facets, hand-cut and hand-polished, with no open culet (the open culet was common on cuts done in the early 1900's, but is not done now). 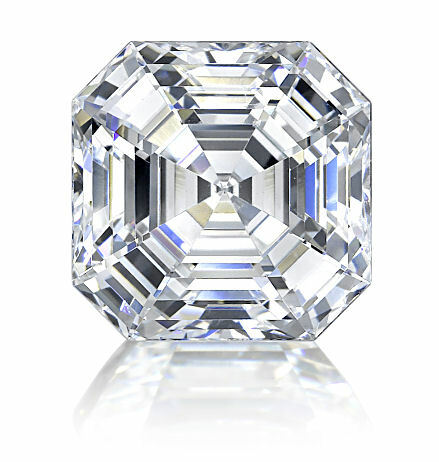 The original Asscher cut was very popular in the early 1900's, before the Great Depression and the invention of the modern diamond sawing machine made it uneconomical to cut. Its beauty, however, is breathtaking and thus this cut has been revived and improved with the addition of 16 extra facets to add even more brilliance and life to this outstanding cut. 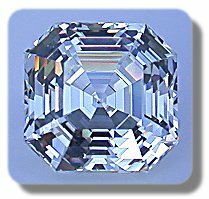 If you are one of those who seek a sophisticated and unique cut, called the "Optical Light Ballet" of diamond cuts, the Asscher may be perfect for you. 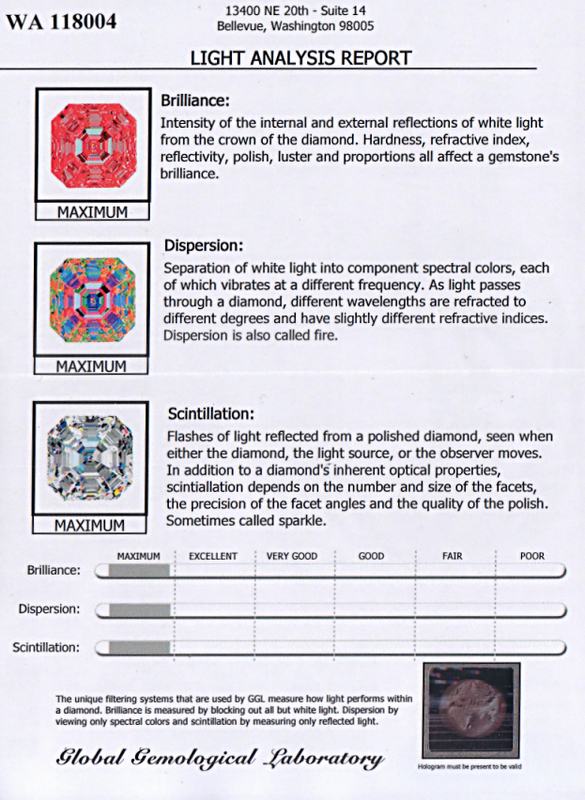 The sample Asha Asscher scored "Maximum" on all light return categories. See our 40 day, any reason return and satisfaction guarantee here - you must be thrilled with your purchase, or we will gladly issue you a refund. 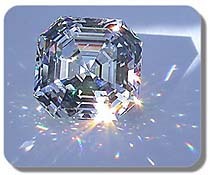 The top selling ring for the Asscher cut is the Cartier reproduction. If you would like to receive email notification of when any sold out sizes are restocked and available for purchase, please add yourself to our email list below, and select 'Asha updates' as your desired interest. This list is spam-free, and you may opt out at any time.